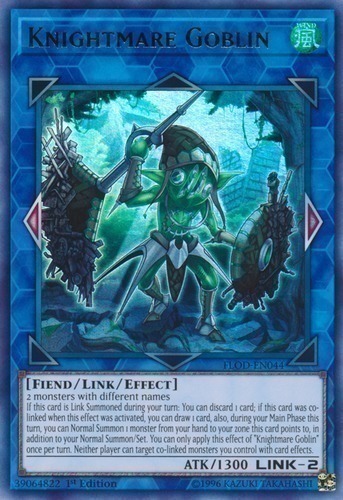 If this card is Link Summoned during your turn: You can discard 1 card; if this card was co-linked when this effect was activated, you can draw 1 card, also, during your Main Phase this turn, you can Normal Summon 1 monster from your hand to your zone this card points to, in addition to your Normal Summon/Set. You can only apply this effect of "Knightmare Goblin" once per turn. Neither player can target co-linked monsters you control with card effects.